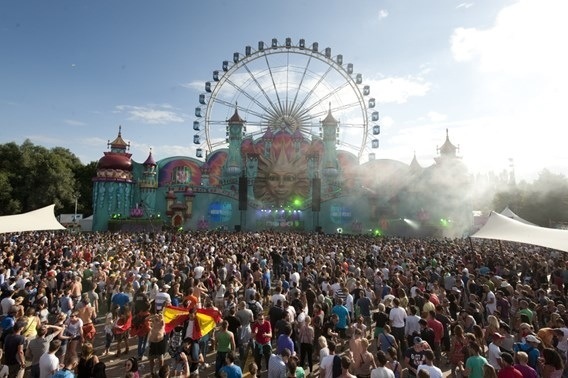 This year H&M comes to Tomorrowland (de Schorre, Boom, Belgium)! They will be opening a pop-up store in the camping-area Dreamville. Festival people who will stay at Tomorrowland can buy some festival-approved clothing, accessories and make-up at the H&M loves music pop-up store. It’s gonna be a 2 floors glass house of 72 squared meters. And it even gets better, when you bring an old t-shirt, you get a brand new one! There will also be a freshen’ up corner where you can touch up your make-up, go for an entire different look and buy some cool accessories. For those who weren’t able to get a ticket for Tomorrowland, you can win a duo ticket when you make a purchase between the 27th of June and the 14th of July (purchase must be a minimum of 30 euro). This entry was posted in fashion and tagged H&M, pop-up store, Tomorrowland by missnathaliexo. Bookmark the permalink.